Basement: Yes, Full "part finished"
Well built 3BR, 2 bath 2 story home on a large lot in a great Bushkill Twp. location. Newer roof and insulated windows. Oil hot water heat, central air, hardwood floors and a wood burning fireplace are among the numerous upgrades. 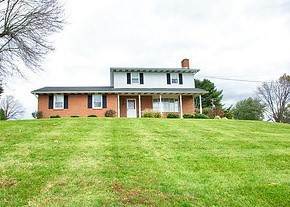 In-ground pool, lower level family room with bar and wood/coal stove and a 2 car garage are the icing on the cake. All this at an affordable price. Don't wait, see this one today.